Add this extension hook to hanging basket hook to add length and make watering your plant easier. Great for any hanging plants. Each end has a two inch opening that makes attaching it to a hook or hanging basket easy. Hanging Basket Extension Hook (Case of 12) has different options and/or variations, please choose below. The Hanging Basket Extension Hook attaches to your wall mounted hook for hanging baskets and lowers the hanging basket to make watering easier. 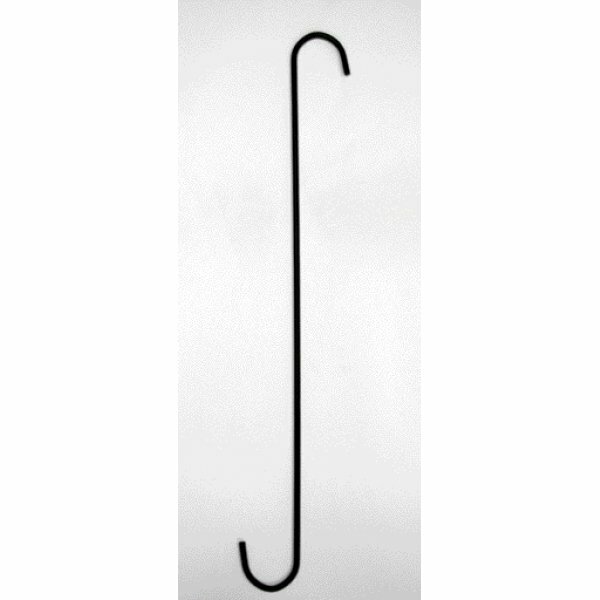 Beautiful black powder coat finish helps to keep the extension hook from rusting. Hook has a 2 inch opening at either end and available in a variety of lengths. Diameter is 1/4 inch. 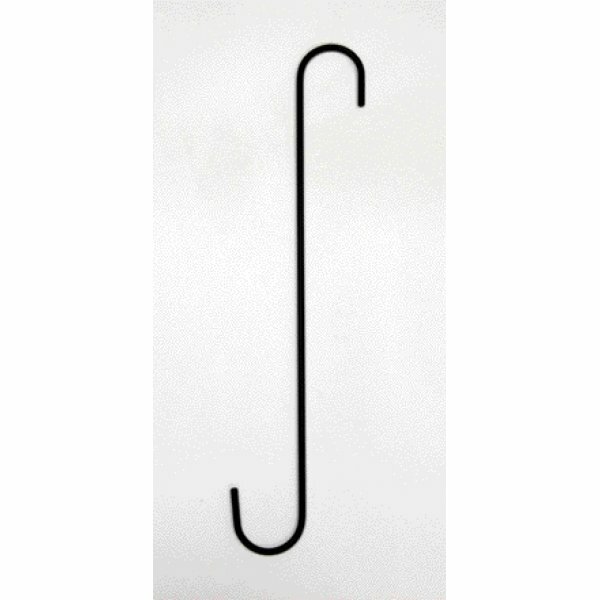 Extension hook is 12 inches in length and 1/4 inch stock. Has a 2 inch opening and comes with a black powder coat finish. Extension hook is 18 inches in length and 1/4 inch stock. 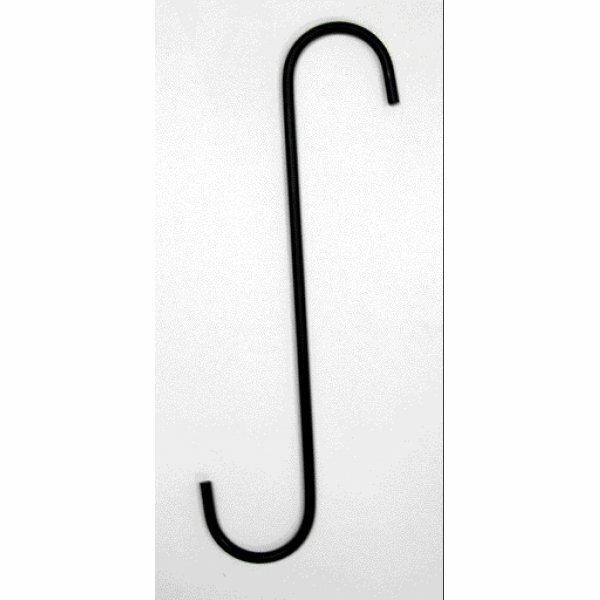 Extension hook is 24 inches in length and 1/4 inch stock. over my backyard and patio.